India, once known as the golden bird for the world a dream and pristine in its way with grandiose culturally, historically and geographically. It truly was ne plus. With intruders it lost its wealth but remaining charming as ever. Since 1947, various changes took place in the global affairs and further with the disintegration of one of the super powers and its ally. The booming economy found itself in the competitive world of fast growing economies, and the relations with each remains resistless yet succinct. World saw a drastic change in its demography post 1940s. Emergence of new countries- decolonisation, emergence of international organisations amongst others. The most significant was the emergence of 2 superblocks of US and USSR, a tiff for decades were foreseen but the world was spared another nuclear battle. Another swing in the world politics came after 1991 when the “second world” disappeared with the fall of the Soviet Union and we ceased to think in terms of two competing economic and political systems. This resulted in introduction of new international players from the prior-Second world, international organisations became important for world affairs, US came up to be the most powerful bloc in the world, also there were fast economies like china, India and brazil amongst others. International trade and diplomacy became the key factors for the countries to associate. In this new multipolar world, India has clearly emerged as a key player. But there is more than one image to India’s development and economy. India’s global profile is rising—from a slow-growing poor country to a burgeoning economic power. India is globally recognized as a key player in the IT revolution, and in sectors a diverse as pharmaceutical, cement, steel and space. Indian nationals hold important and high-ranked positions in corporations, academia and policy making worldwide. India has acquired a prominent voice in global fora; it is playing a historic role in fostering South-South exchanges and has an influential position in the BRICs, NAM and other regional and international organisation. But there’s another image to India that includes lagging significantly on health and nutrition targets: It is home to half of world’s underweight children and accounting to a very high rate of maternal and child deaths worldwide. Social exclusion remains a dark looming shadow upon the subcontinent. Gender norms can be quite restrictive and stringent and gender gap persists in realms such as child mortality and labour force participation. If India is to play a crucial role in the new multipolar world—as an engine of growth, as a provider of knowledge, as an example of social and economic transformation under democratic auspices—it will need to close the gap between these two realities. Closing the gap will require addressing some key challenges in the areas of infrastructure, agriculture, education, gender, and governance. India has enormous untapped potential—productivity for food security and agriculture. Education and health remains a scanty provision for the mass, which are to be taken care of. It is to be rectified that an overall growth of the economy would make India, into a super power and not selective sections of the society. 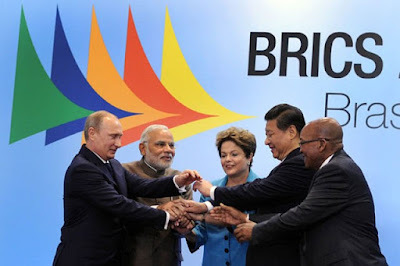 India is playing a progressively larger role in the new multipolar world we inhabit. Other countries increasingly look at India as an engine of growth, a source of knowledge, and an example on how a pluralistic society evolves over time. Dealing with the challenges addressing institutional constraints to better deliver infrastructure and quality education, spur and agricultural productivity increases, fully include women in the development process, and strengthen governance, which in the end will translate in a wealthier, more equitable India.